This post sets out a number of free guides and "how to . . ." articles that relate to getting invoice finance and also leaving that type of funding. 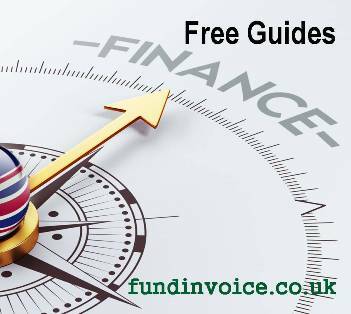 Our Guide To Invoice Finance is a great place to start with an overview of how these products work, the companies that provide these services and they types of services and funding that are available. If you would like more product specific advice see our guides to the different Types Of Factoring and Types Of Invoice Discounting. You may also be interesting is ensuring you avoid many common mistakes - read our article about Avoiding The Pitfalls Of Factoring. In order to maximise your chances of being approved for factoring see our Top Tips For Getting Approved For Factoring. Sector specific funding - whilst almost any industry sector can be funded, we have specialist guides to Funding Recruitment and Funding Construction sector companies. Pricing - How do invoice finance costs work - this article includes links to pages that give you examples of typical costs for factoring and invoice discounting, according to the approximate size of your business. You may also be interested to see this: Summary Of Our Invoice Finance Pricing Research. 6 Ways To Reduce Your Invoice Finance Costs - explains how you can make savings on your fees. Startup Funding - our short guide to using cash flow funding to finance a new startup company. How To Finance A Large Order - looks at how you can use receivables funding to finance a large one off order. Calculating the cost of leaving invoice finance - this explains the various aspects of cost that you need to take into account. How To Get Out Of Factoring In 10 Steps - explains the process you can adopt to leave factoring in favour of alternative means of funding your business. After you no longer have a factoring company handling your credit control you will need to undertake this function yourself, or use an outsourcer. Another of our free guides explains How To Run Your Own Credit Control Function.